Dr. Gary C. Kessler is an independent consultant and practitioner in the areas of computer and mobile device forensics, computer and network security, maritime cybersecurity, TCP/IP and the Internet, and communications protocols and standards. He is a Professor of Cybersecurity at Embry-Riddle Aeronautical University in Daytona Beach, FL, where he is also the chair of the Security Studies & International Affairs Department. In addition, Gary is an adjunct professor at Edith Cowan University in Perth, Western Australia; adjunct faculty member at American Marine University in Sarasota, Florida; member of the editorial board and past editor-in-chief of the Journal of Digital Forensics, Security and Law, and member of the International Programming Council of TransNav, the International Journal on Marine Navigation and Safety of Sea Transportation. Prior to 2013, Gary was Program Director for the Master of Science in Information Assurance program at Norwich University in Northfield, Vermont. 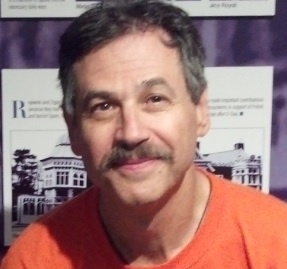 From 2000-2010, Gary was an Associate Professor at Champlain College in Burlington, Vermont, where he started the Computer & Digital Forensics (on-campus and online), Computer Networking, and Information Security undergraduate programs and the M.S. in Digital Investigation Management program, and was the principal investigator at the Champlain College Center for Digital Investigation. Prior to 2000, Gary was a Senior Network Security Analyst at SymQuest Group, a network integration consulting company in South Burlington, Vermont. Before that, he was the Director of Information Technology and a Senior Member of Technical Staff at Hill Associates, a telecommunications education and training firm located in Colchester, Vermont. He has been providing telecommunications course development, education, and consulting services since 1984, both at Hill Associates and as an independent consultant, with a brief hiatus as a Senior Consultant in the Professional Services Group at Bolt Beranek and Newman (BBN) Systems & Technologies (where he telecommuted to the group's Cambridge, Massachusetts office and was program manager of CommerceNet's Public Key Infrastructure Task Force). Prior to that, Gary was a software engineer at Lawrence Livermore National Laboratory in Livermore, California; Coordinator of Academic Computing at St. Michael's College in Colchester; and an applications programmer supporting researchers in the Cardiology Department at Cedars-Sinai Medical Center in Los Angeles. Gary holds a B.A. in Mathematics from Humboldt State University in Arcata, California; an M.S. in Computer Science from the University of Vermont in Burlington; and a Ph.D. in Computing Technology in Education from Nova Southeastern University in Fort Lauderdale, Florida. He is also a Certified Computer Examiner (CCE) and Certified Information Systems Security Professional (CISSP). Gary is the co-author (with Peter V. Southwick) of ISDN: Concepts, Facilities, and Services, 4th. edition (McGraw-Hill, 1998), the co-author (with David A. Train) of Metropolitan Area Networks: Concepts, Standards, and Services (McGraw-Hill, 1992), and has written more than 75 articles and papers. Gary's entire resume is also available!! Gary's wife, Gayle, is a Speech Language Pathologist (SLP) in private practice, Mahjongg fanatic, and certified SCUBA diver. His son, Joshua, is the Director of Athletic Communications at St. Michael's College in Colchester, VT. His daughter, Sarah, is on the strategic planning team (as well as licensed radiologic technologist) at University of Vermont Medical Center in Burlington, Vermont, and mother to granddaughters Isabella and Louisa. Gary's step-daughter, Hilary, is mom to grandson Cohen while her husband, David, pursues an M.B.A. at Cornell University in Ithaca, New York. Step-son, Daniel, works for a medical billing company in Ormond Beach. Gary is also a PADI-certified divemaster and Master SCUBA Diver Trainer, as well as a USCG-licensed captain. He was originally certified in SCUBA by the Los Angeles County Department of Parks and Recreation  source of the first recreational SCUBA certification in the U.S.  in 1967 at the age of 13. After a long hiatus, Gary was re-certified in 1991 as one of the original divers with the Colchester Rescue Dive Team in Colchester, Vermont. Gary dives as much as possible, finally eschewing the wrecks in dark, cold, murky Lake Champlain for the warmer waters of Florida... See some of his favorite SCUBA Web sites, photos, and other SCUBA-related information. He is also a 50 GT master with a towing endorsement, part-time captain at Marine Discovery Center in New Smyrna Beach, and a member of the U.S. Coast Guard Auxiliary, Flotilla 44, District 7. Gary is a life member (and former Chief) of the Colchester Rescue Squad and was an Emergency Medical Technician from 1979-2006; he is also the webmaster of the Green Mountain Critical Incident Stress Management Team. Other interests include playing the guitar (albeit stuck in a 1960s-70s folk music time warp, at least until Mary Chapin Carpenter, 10,000 Maniacs [the Natalie Merchant years], Dave Matthews Band, and Coldplay came along).